Ahhh … that salt-tinted and relaxing breeze off the ocean as waves lap at the sides of your trusty steamship. Sitting astern and sipping a margarita as you gaze longingly over the open sea as it calls to your sense of exploration and excitement. Trusted and loved by your crew, you take your steamship to the open waters in search of a new beginning and an end to old worries … Then you wake up from your relaxing little dream as Sunless Sea is literally none of those things. Set in a fallen London, where the gothic, near grimdark city has fallen into the darkness of a watery abyss and haunted by nightmare creatures straight out of an H.P. Lovecraft novel. Live in terror, manage your supplies, cannibalize your crew, complete your quests, discover secrets, and flee the horrors of the night. 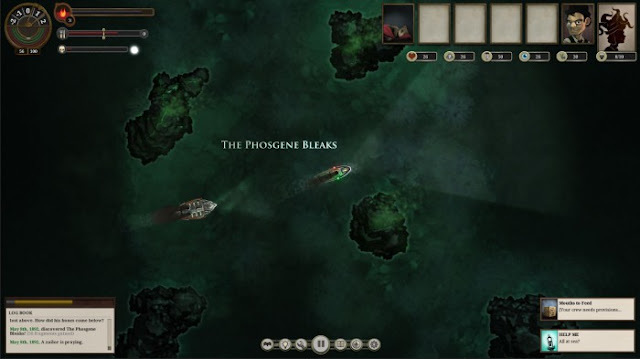 Sunless Sea is a near-perfect port of a near-perfect survival/exploration game that centers around a small crew and its captain. I loved Sunless Sea and its spiritual sequel, Sunless Skies, both being among the most atmospheric nightmare titles I have ever experienced. Never during the near 100 hours of gametime did I think, "gee, this game would be great on console" and now? I wonder what I was thinking because Sunless Sea fits so well with controller support and on the PlayStation 4 that I am a bit shocked that I did not think of it. Sunless Sea just sort of … fits … on console and Failbetter Games' port of Sunless Sea is excellent. 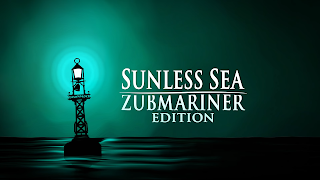 For those that have not played the original PC version of Sunless Sea, shame on you, but those looking for something different, something darker and something more story-driven, then this is most certainly a title for you. Text-heavy as it is, Sunless Sea is about not just mystery, but exploration and managing various resources, including terror. 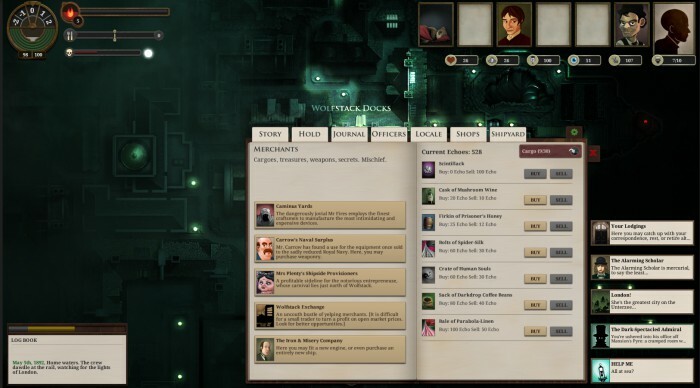 Taking place in an alternate universe where London has fallen into a vast underground sea called the Unterzee, you build your captain's background (or you do not; this game is about choice) then set sail into the Lovecraftian world of Sunless Sea. 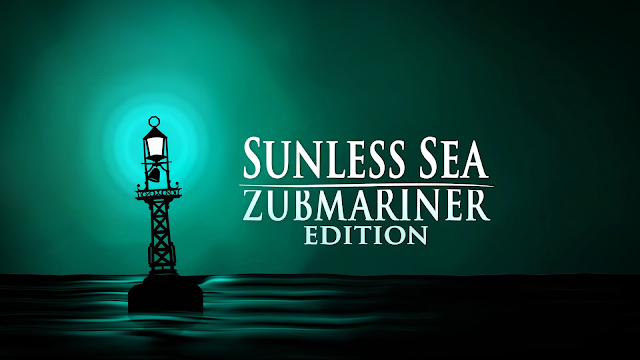 Something to note is that though there is some action in Sunless Sea: Zubmariner, the game focuses mostly on exploring a mid-sized map and completing quest-like puzzles. In fact, it is laid out not unlike a board game, specifically the one that comes to mind is Mansions of Madness. It could be the setting, or the art style, or even the overall structure of the quests/missions. I also found that during the PC playthroughs I have done and the PS4 version, oddly enough, Sunless Sea would be perfect to record, narrate, and upload to Youtube for players the world over to have running in the background as something of a narrative adventure soundtrack. Though it may not be exciting to watch, the writing is spectacular and would play out in a manner similar to an audiobook. Few games can do that well, and Failbetter Games' Sunless Sea: Zubmariner edition excels at it.